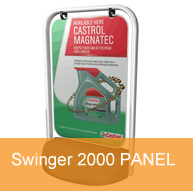 Also known as swing signs or pavement signs these are a hugely popular way of driving customers to your door. 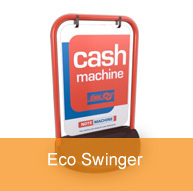 They are ideal for a range of uses from simple messages pointing people to your premises to product awareness or promoting sales and special offers. 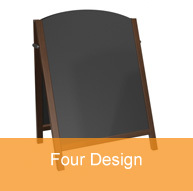 A-Boards are available in many different styles and sizes including economy versions, chalk board style or with pockets for interchangeable posters allowing you to change the information displayed with ease. Here’s some of the ways they can be used…..
High Street shops and retail outlets who want to promote themselves and advertise special deals and offers. Especially effective for businesses who are obscured from main thoroughfares or slightly off the beaten track. 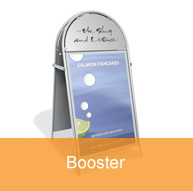 Restaurants, bistros, cafes and bars who want to show off their menu, dining promotions, specials boards or happy hours. 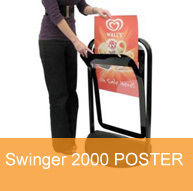 The option of interchangeable posters enables the flexibility of promoting one off deals or information that is constantly changing such as seasonal produce and events. Exhibitors at shows, fetes and outside attractions can benefit form having a sign that is not only portable but also eye catching. 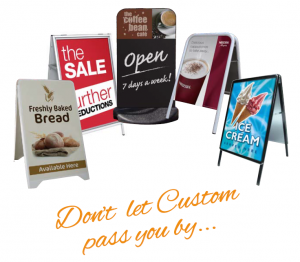 Ideal for any trader, retailer or food concessionary that wants to stand out from the crowd. So don’t let business pass you by. 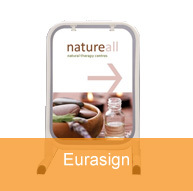 Use an A-Board or pavement sign from BEL Signs to ensure you get customers to visit your business or shop – We have a massive range that will suit every budget as well as an in house design service to help maximise their effectiveness.